Want to know more about this Gem? February Birthstone and Sixth Anniversary. May Birthstone and Twentieth Anniversary. June Birthstone and Third and Thirtieth Anniversaries. 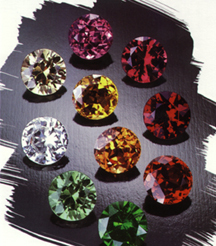 September Birthstone and Fifth and Forty-fifth Anniversary. August Birthstone and Sixteenth Anniversary. July Birthstone and Fortieth Anniversary. November Birthstone and Twenty-third Anniversary. October Birthstone and Eighth Anniversary.